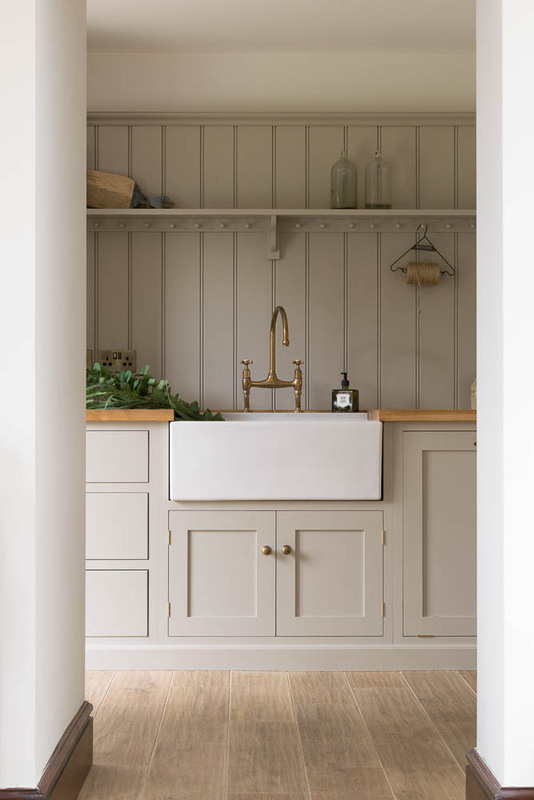 A while back I wrote a blog post about our “Wood Effect Porcelain”, and how pleased I had been with the authenticity of the product. 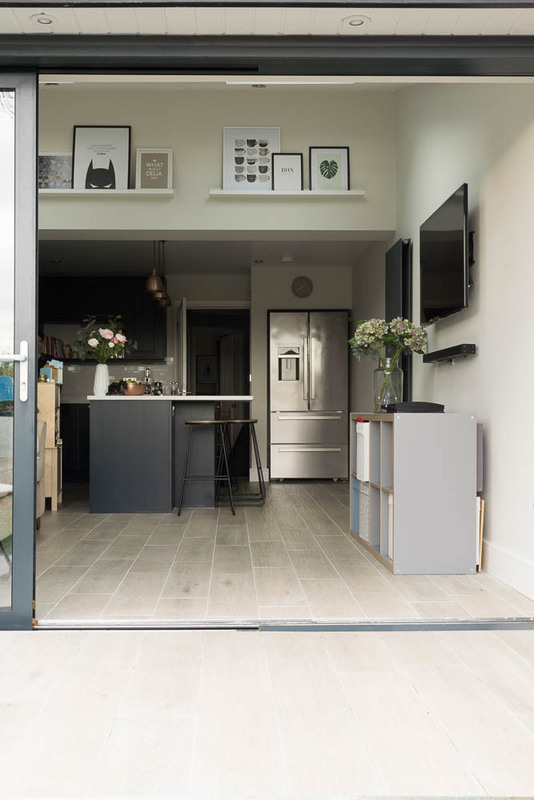 Too often, cheaper wood effect tiles can fail to mimic the natural beauty of a plank. As suspected, the Wood Effect range has proven very popular with our customers. 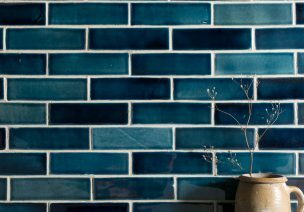 Its versatile nature and ability to be used indoors, outdoors and on both walls and floors, opens up a wealth of purpose and uses for this tile. We’ve been lucky enough to have some finished photos from some customers who have opted for this range. Showing how months of careful planning have come together to create that ‘dream’ space. I thought you’d like to see them too, so am going to show you some of my favourites. Here are some photos of our beautiful Reclaimed Wood Effect Porcelain, this is my favourite wood effect plank. The plank is imbued with sensuous and moody tones. Its dark coppery undertones create an elegant finish without being overbearing. 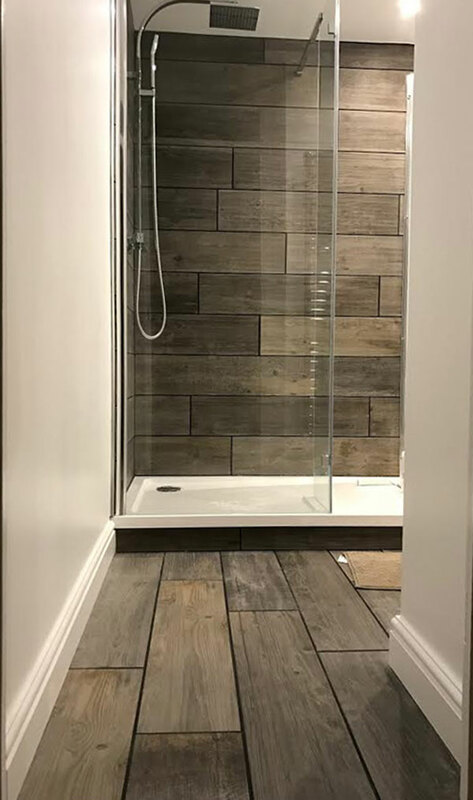 I love the customer’s choice to use the tile on the wall and floor, it creates a seamless look which adds unity to a space. The dark grouting also brings out the beautiful tones of this plank. All our wood effect porcelain tiles are external-use friendly. This customer has chosen to use the Reclaimed Oak in an outdoor space. I think the natural imitation marries up perfectly with the vibrant grass area. I also think this customer will appreciate the low maintenance benefits, this tile does not need to be sealed and is completely frost resistant. It’s textured nature also gives great grip underfoot for those frosty mornings. 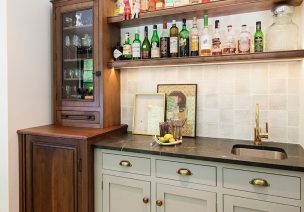 These photos are of our Aged oak porcelain. A perfect plank for small or large spaces. Its relatively neutral tones enable customers to use throughout rustic or contemporary projects. It’s clever design really does imitate a natural plank deceivably well! Lastly, our Vintage Oak. This customer chose to run it from the kitchen to a terrace area outside. Perfect for uniting the two spaces and a gorgeous sunny spot to sit for your morning coffee. 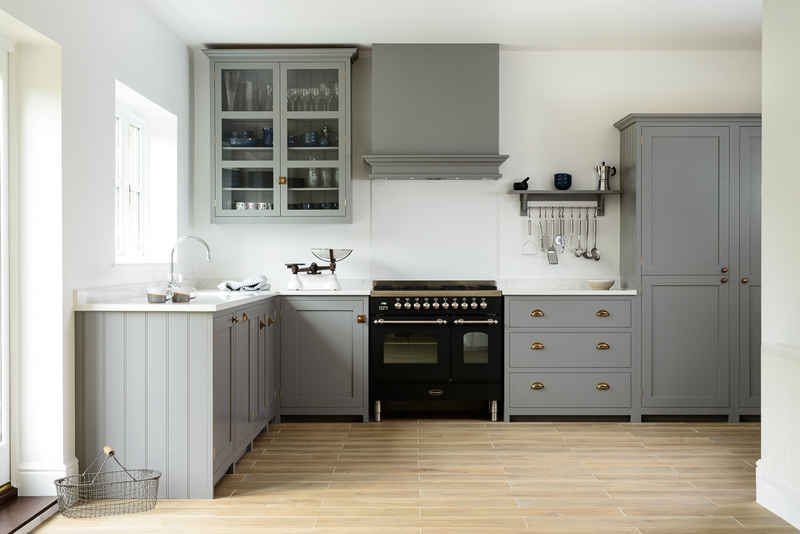 The light tones of this porcelain keep this living kitchen bright and airy, whilst still being extremely practical. 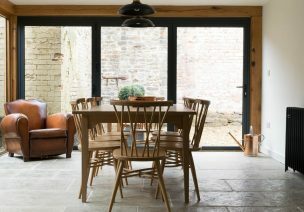 I hope you’ve enjoyed seeing some of our wood effect tiles in situ. 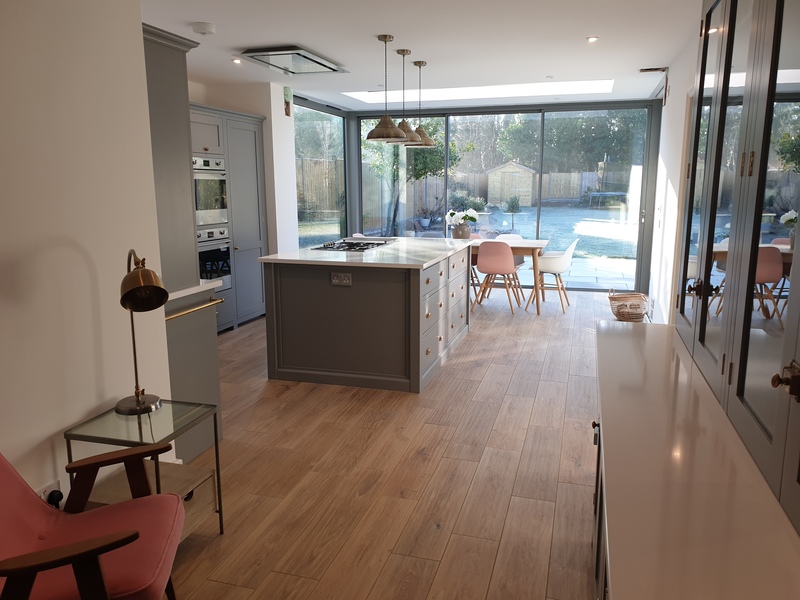 It’s always a treat for us to see finished projects- so if you do have any photos of your own from any of our products that you’d like to share, please do email them in (who knows they may even appear in one of our blogs). 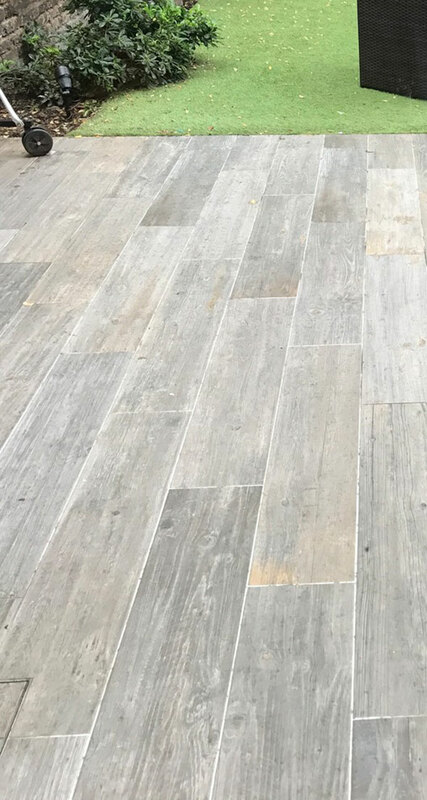 If you have any questions about any of our tiles or if you would like any samples, give our knowledgeable sales team a call on 01509 234000 or alternatively you can email us on enquiries@floorsofstone.com and a member of our team will be in touch.